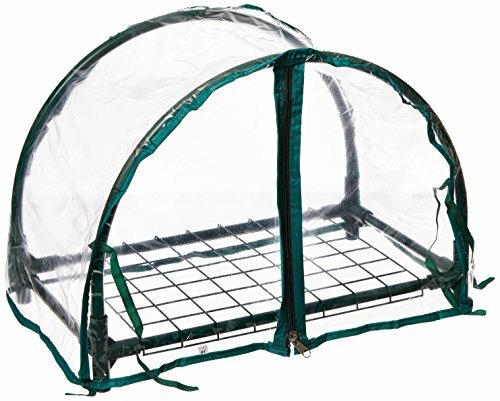 The Zenport SH3270-12.5 12-Inch Mini Balcony Greenhouse with an elevated storage shelf is ideal for use in protecting plants on a small deck, patio, balcony, or in the garden. Measures: 17″ W by 10.4″ D by 12″ H. Zippered closing cover is constructed with waterproof transparent plastic. 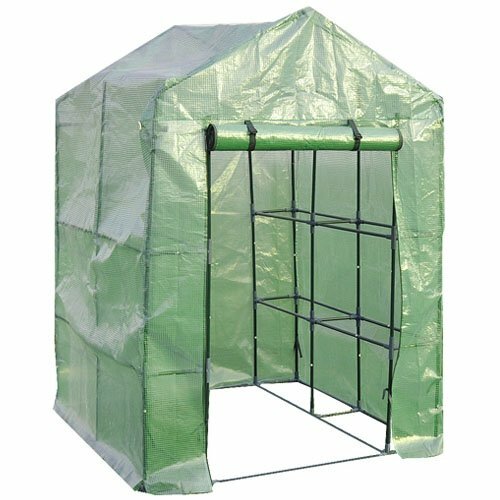 Cover with secure ties fits over powder coated green finish steel frame.